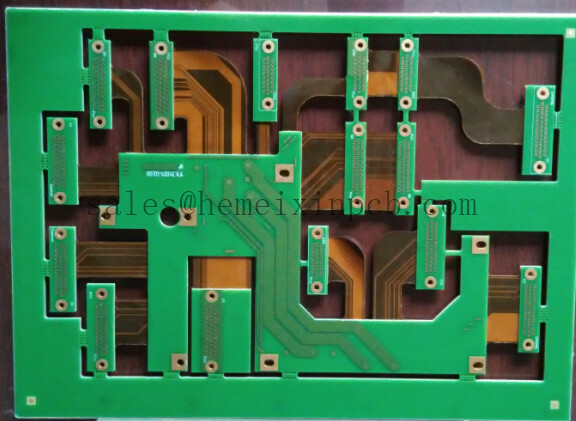 Product categories of Flex Rigid PCB, we are specialized manufacturers from China, Flex-Rigid PCB, Flex-Rigid Printed Circuit Boards suppliers/factory, wholesale high-quality products of Flex-Rigid Printed Circuit Board R & D and manufacturing, we have the perfect after-sales service and technical support. Look forward to your cooperation! As markets trend toward miniaturization, customers rely on Hemeixin PCB's Flexible Printed Circuit (FPC) and Flex Rigid Pcb Manufacturing capabilities when flexibility is required for tight, small spaces. Our Flex Circuits offer the same advantages of Printed Circuit Board (PCB) including repeatability, reliability and high density but with the added twist of flexibility and vibration resistance.